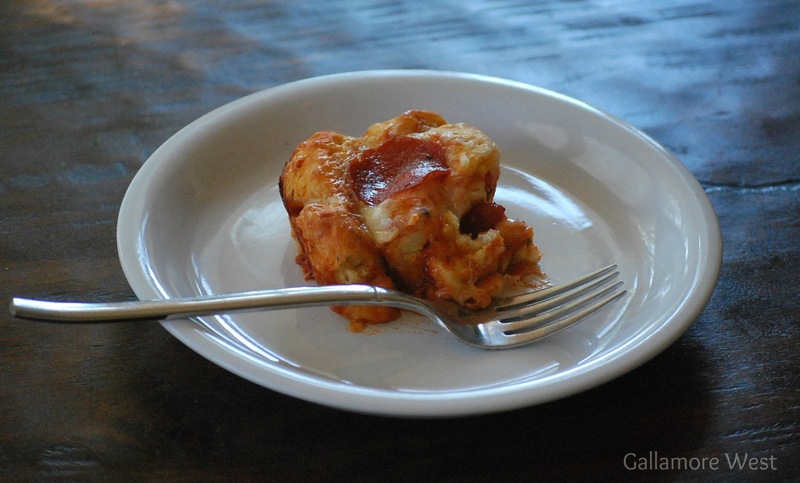 gallamore west: Stress-free Back to School Weeknight Dinners with Pillsbury Biscuits! 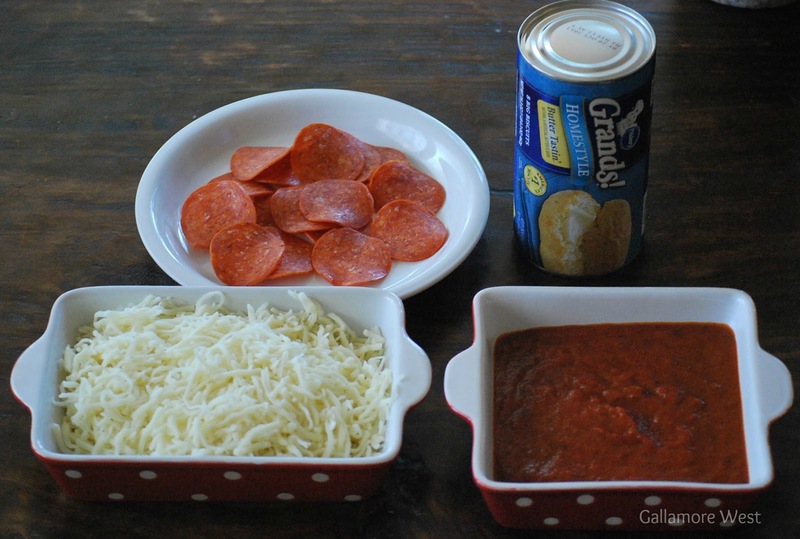 Stress-free Back to School Weeknight Dinners with Pillsbury Biscuits! Our boys have been Back to School for three weeks now, and wow how quickly our afternoons melt into our evenings where we're running around trying to finish up homework, sling on some shinguards, and run out the door for soccer practice! But wait... what about dinner? Since Back to School time in our home means busy weeknights that make for a very small window of time for a quality dinner, I'm always on the hunt for quick and easy to please everyone meals. So when I saw the recipe for this Pillsbury Grands! 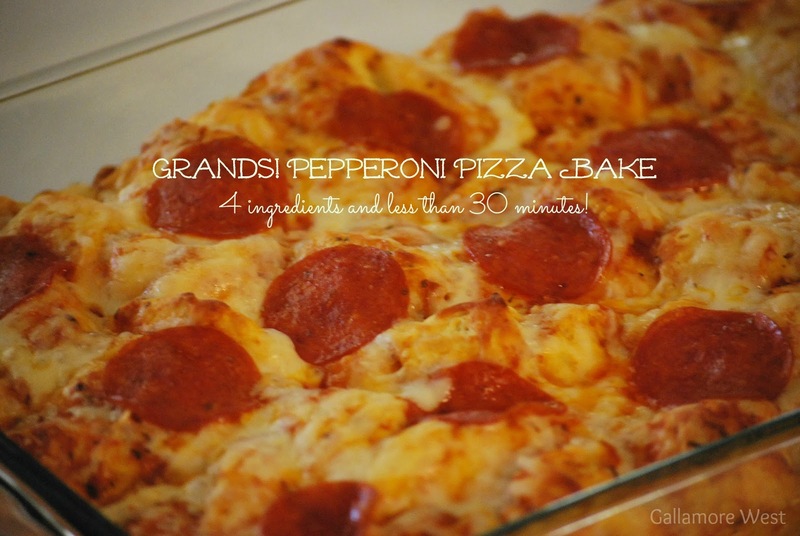 Pepperoni Pizza Bake recipe that only requires 4 simple ingredients and that is ready from the oven in under 30 minutes, I had to try it. And here's a glimpse into how I keep myself sane and relatively stress-free during our busy weeknights. 1- On our walk home from school each day, we talk about how their school day went. 2- I have the boys put their backpacks, lunch boxes, and shoes in the same place every day as soon as they walk in the door. That way we're not searching for anything the next morning! 3- I have the boys bring me any important papers from school and their homework right away so I can figure out about how much time we'll need to set aside for homework. 4- I feed the boys a healthy snack and let them unwind for a bit without nagging them about homework. 5- While I'm prepping our easy weeknight dinner, I give them a little countdown to let them know what's coming next. Something simple like, "10 more minutes of playing before it's time to do a page of math homework." That way they know what's coming up. 6- After getting a bit of homework done and put back into their backpacks, it's time for our easy weeknight dinner. The Grands! Pepperoni Pizza Bake was a hit with our boys. The entire process of making and baking it was done in under 30 minutes! We're also going to try out the Grands! Barbecue Cups and the Grands! Taco Melts soon too. You can download a Grands! Recipe Booklet here with these and many more recipes made with Pillsbury Grands! Keeping up with this consistent daily routine is a lot of work, but it sure does make for stress-free school mornings for our kids and for me too. And I sure am grateful for easy to make and easy to please dinners to help us out on those busy nights.